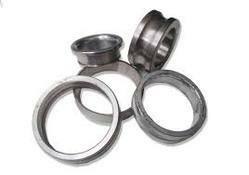 We offer a wide range of Bearing Inner Races as per client require. These Bearing Inner Races are respected for excellent self-aligning ability. We provide different types of Bearing Inner Races with radial loads also can carry axial loads in two directions. Our Bearing Inner Races are used in a number of automobile industries and are known for their optimum performance and functionality.